The Bible speaks for itself, or rather, it speaks for God. Yet, we have a generation of young people that are generally more excited about video games and special effects than the Word of God. So, what’s a parent to do? 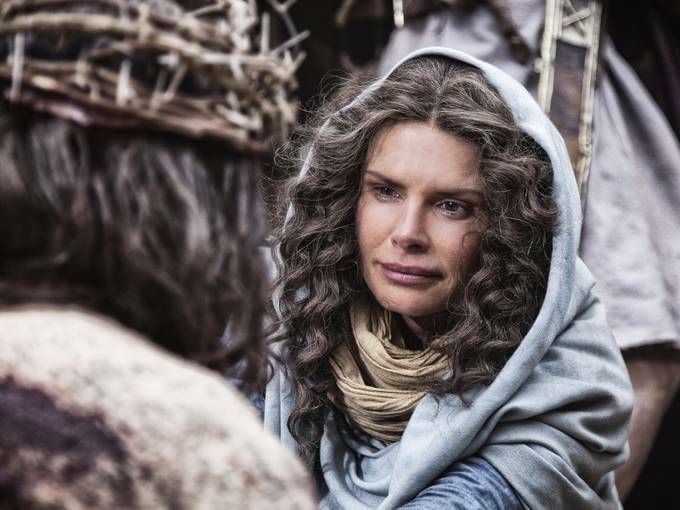 If you are executive producer Mark Burnett and his wife, “Touched by an Angel” star Roma Downey, you make a 10-hour miniseries on the Bible. “The Ten Commandments was an incredible movie for it’s time, but it is over fifty years old,” said Mark. “To impress kids today, the bar is set high.” Impressing audiences is something the couple knows a little about. Burnett has won extensive awards including four Emmys. He has produced over 1,200 hours of television programming including “Survivor,” “The Voice,” “The Celebrity Apprentice,” and “Shark Tank.” Roma earned multiple best actress nominations for Emmy’s and Golden Globe awards and has executive produced seven TV movies. After their kids’ negative reaction to The Ten Commandments, Mark and Roma became captivated with the idea of making a TV series on the Bible–something that would speak to a new generation in a big way. “We make television shows that reach millions and millions of people, so we thought, why not one on the Bible?” said Roma. Their desire to glorify God and their belief that the Bible can change lives, set them on a four-year journey to create this series. It began with writing scripts under the guidance of theologians, advisors, and Bible scholars from a cross-section of denominations. In the spring of 2011, filming began on location in Morocco with an international crew. An Oscar-winning team did the special effects and renowned, German film composer Hans Zimmer created the score. The movie covers pivotal stories from Genesis to Revelation within five, two-hour parts. The stories are based on the “New International Version” and “New Revised Standard Version” of the Bible. “Through the lens of the producers of this telling of the greatest story, we can see at times with sweeping scope and at other moments with touching detail, how it is that the Bible remains the most significant book – the book of the Word of God. My hope is that this video presentation, may bring alive its many stories in people’s minds and hearts so that they may be drawn to rediscover the Bible and rejoice in its saving message.” –Donald Cardinal Wuerl, Archbishop of Washington. The first 2-hour episode begins this Sunday, March 3, airing weekly on the History Channel, concluding on March 31, Easter Sunday. Roma and Mark have also co-authored a companion book to The Bible series A Story of God and all of Us, scheduled for release this spring by Faith Words.